Unless you’re a serious science denier, who thinks that the measles vaccine is more dangerous than measles, we have ample evidence that the measles vaccines have just about eliminated measles, although an uptick in measles this year probably can be tied to the antivaccine crowd. We have boatloads of evidence that vaccines have prevented morbidity and mortality from measles. We don’t have to look back 100 years, we can look back 20 years–measles cases dropped from 55,000 in 1991 to 189 in 2013. This sudden drop happened because of the Vaccines for Children Program. The measles vaccine, usually a part of the MMR vaccine (for measles, mumps and rubella) or the MMRV vaccine (MMR plus varicella, also known as chickenpox), successfully prevents measles, is a highly contagious respiratory disease caused by a virus. Measles starts with a fever, runny nose, cough, red eyes, and sore throat, similar to common cold. However, the initial symptoms are followed by a rash that spreads all over the body. Many people think that measles is a minor disease, that’s because they weren’t around 30 years ago, when measles epidemics hit children in school. The CDC estimates that approximately 3 out of 10 adults or children who get measles will develop one or more complications including pneumonia, ear infections, or diarrhea. The myth that measles is “nothing” is just that–a myth, lie and bad science. About 1 out of 20 children with measles gets pneumonia, the most common cause of death from measles in young children. Pneumonia often requires hospitalization, sometimes in a pediatric intensive care unit. About 1 out of 1000 children who get measles will develop encephalitis, a swelling of the brain that can lead to convulsions, and neurodevelopmental disorders. About 1-2 out of 1000 children who get measles will die. Let that sink in, because measles is a dangerous disease with a rather high rate of death. Sadly, there are a lot of people who have a misguided belief that measles vaccines can be dangerous. Part of that belief can be laid at the feet of Mr. Andy Wakefield who fraudulently alleged a connection between the MMR vaccine and autism. Wakefield actually published his corrupt work in a paper that was ultimately retracted. Eventually, after wasting billions of dollars on research that actually could have been used to research real science behind autism, we have mountains of evidence that vaccines are completely unrelated to autism, despite the delusion protestations of a few individuals and websites, for whom Wakefield is their god. Except for the sociopaths who want to eliminate vaccines, autism and vaccines is a non-story. However, pseudoscience uses various techniques to keep their beliefs relevant, so there’s been a change in story, that is, the MMR (or MMRV) vaccines have other issues. There has been a vague sense that there were some greater than background adverse events related to the measles portion of the vaccine. Of course, scientific research can help uncover potential issues with vaccines, especially if done over a long period of time with large study populations. 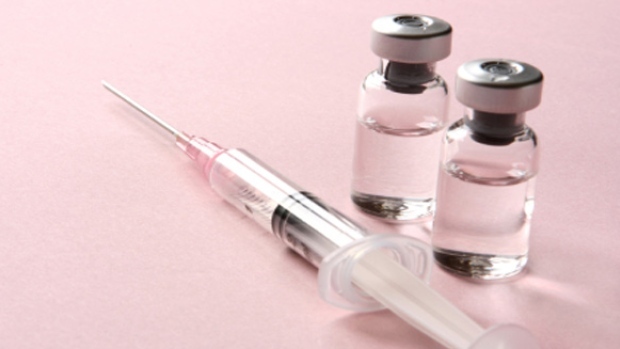 A thorough and extremely large study, published recently in Pediatrics, examined seven major adverse outcomes of measles vaccines over a 12 year period of time. The study, which included 123,200 MMRV and 585,000 MMR+V (with the varicella vaccine given at the same time, but in a separate injection) doses, a number so large that it would uncover even the rarest of events, was performed at the Kaiser Permanente Vaccine Study Center, which has access to detailed medical records of millions of patients enrolled in one of the most technologically advanced health care systems in the world. The study found no significant increase in risk of the following adverse outcomes–immune thrombocytopenia purpura (low platelet counts), anaphylaxis, ataxia (a neurological sign of involuntary movements from a neurological disorder), arthritis, meningitis/encephalitis, acute disseminated encephalomyelitis (an autoimmune disease of the brain and spinal cord), and Kawasaki disease (an immune disease that causes inflammation of blood vessels throughout the body). Some of these outcomes are known risks of measles itself, so investigating whether the vaccine might be responsible for them too constitutes prudent and important research. But again, there is no relationship between the MMR containing vaccines and these diseases. In fact, for some of the outcomes, the study found zero or nearly zero events, numbers so small that the risk approached zero. But there is also some important other information in the study. The research has confirmed the data from previous studies that MMRV and MMR+V are associated with fever and febrile seizure 7 to 10 days after vaccination among 1 year old children. Fever is a minor event, though it should be monitored closely. Although the authors did not speculate as to why fevers were relatively common, it is apparently a function of the immunization process. And of course, the fever from the vaccine is short-lived, and does not compare to the fevers experienced by the measles infection, which can be life threatening. The other minor side effect, which occurs in about 1 in 1000 vaccinations, are febrile seizures, is an epileptic seizure associated with a high body temperature but without any serious underlying health issue. Most seizures are less than five minutes in duration and the child is completely back to normal within sixty minutes of the event. As a parent, a febrile seizure would be a frightening prospect. However, from a medical standpoint, they are minor, they are not a symptom of any neurological disease, and they are usually a one time event with no short- or long-term consequences. I wonder sometimes if parents who have experienced this type of seizure conflate it with other, more serious, issues, leading to a negative feeling about vaccines. Despite what it looks like, it’s less serious than the measles virus itself, which has a higher risk of febrile seizures plus more serious neurological disorders. One may notice that autism wasn’t included in the study’s statistics, though I would think that they would have included it if it was observed. Well, the mountains of research that went looking for a relationship between the MMR vaccine and autism found none. So, let’s be clear. MMR (or MMRV or MMR+V) prevent measles, a dangerous disease. And just to be doubly clear, there are few minor adverse events from those vaccines. Time to move on, because vaccines save lives. Klein NP, Lewis E, Fireman B, Hambidge SJ, Naleway A, Nelson JC, Belongia EA, Yih WK, Nordin JD, Hechter RC, Weintraub E, Baxter R. Safety of Measles-Containing Vaccines in 1-Year-Old Children. Pediatrics. 2015 Jan 5. pii: peds.2014-1822. [Epub ahead of print] PubMed PMID: 25560438.